← Stopping to think ain’t so bad. Also BEER! 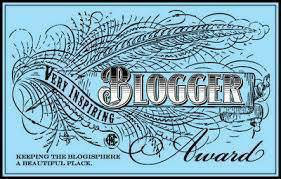 I’ve been nominated for a couple of blog awards! Awww. Good to know that what basically amounts to my writing-process motivation-containment-system is also being enjoyed by some real humans. 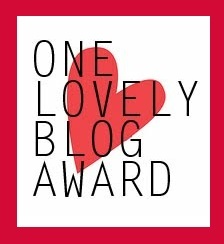 And so I’m 100% thankful to my nominator, Victoria Davenport for the Very Inspiring Blogger Award, and also very grateful to my nominator, The Paper Butterfly for the One Lovely Blog Award. Go stop by and give them some love. Thank and link the amazing person(s) who nominated you. Almost joined the police force, but my mum was certain I’d go derpy hero mode and break my neck on day one (probably true, I have such tendencies), so she offered me a higher paying job instead. I have been to Wacken heavy metal music festival in Germany twice, to Brutal Assault in the Czech Republic, back to the UK a bunch of times, and around Scandinavia on a bus, but have never even set foot in France or Italy. My favourite food is beef ramen with egg and kraft cheese on top, or bratwurst with sauerkraut… don’t make me choose. Wolf the Husky (my dog) still has metal plates in his leg from a valgus deviation in puppy-hood. Vet bills >$7,000 AUD. Coincidentally have metal plates in my hand too, which was considerably cheaper. Damn dog. My earliest memory is accidentally discovering how to whistle (musically, not wolf-whistling) whilst sat in a baby crib at the leisure centre in Cleethorpes, UK. I hadn’t yet figured out how to talk. My favourite film growing up was Terminator 2, which I watched to the point where I could have quoted the lines of all characters. Now how about them boots and that motorcycle? Alright, on to my fifteen nominations! Some of you have probably already been nominated, in which case you definitely don’t have to post again, but feel free to take the above buttons for your blog. This entry was posted in Writing and tagged fiction, Terminator 2, very inspiring blogger award, vet bills, whistling, word-count, Writing. Bookmark the permalink. Thank you for the nomination, D.R.! It’s cool that you’ve been to Wacken—I plan on going someday, too. Any favourite metal bands? If you do decide to go to Wacken, message Laila Hallak on Facebook, she has a group – Camp Facebook At Wacken Open Air. They’re a great bunch of guys and girls from all over the world that help each other plan, camp at the festival together, and meet up before/after in Germany for shennanigans. Thanks for the heads-up about the Facebook group. I like most of the bands you listed, especially Amorphis and Insomnium. When people say Gojira, I always am reminded of Gorod, which is an unbelievable tech death band from Europe. Check them out if you haven’t already. Good list; I will give Scar Symmetry a bit more of a look. I was lucky enough to see Insomnium play on the last day of Wacken 2012, at about two in the morning, knee deep in mud, with a litre stein of energy drink and vodka in one hand. I also had one awesome gal from that group I mentioned dive into my tent at 10.50am and slap me awake so I didn’t miss Amorphis play the main stage at Wacken 2010. Good times. Good times. Haha, we all need companions like those, especially in a concert setting. Scar Symmetry’s “Pitch Black Progress” is one of my favourite metal albums, so you can start with that first. Do you listen to Cynic? Their technical ability and creativity is just at a totally different level. Thanks, will do. Haven’t heard Cynic, but I’m all for technical ability and creativity! Will look for them too. I noticed that you have Kalmah in that list as well? Heaps good stuff. Do you like any Folk Metal? After Melodic Death that’s probably my fave sub-genre. Korpiklaani, Finntroll, Eluvietie, Ensiferum, Turisas, even Chthonic… I am also really enjoying Textures. Dunno what genre that is though. I think Cynic is jazz fusion with progressive metal thrown in, though their style tends to morph because they like to experiment. Their lead guitarist was offered a permanent position for the band Death, but turned it down to focus on Cynic. It’s definitely a niche band, and I’m glad you like it. Korpiklaani are amazing fun live, too. Cheers very much for all the new bands. Novembre sound good, going to have a bit more of a listen to them. Oh, and forgot to ask: you heard Amon Amarth? Death Metal with a strong viking theme. Also, you being a cartoonist/artist I’m guessing you’re all over the show Metalocalypse? k-k-k-k-yeeeeeah! Dr. Roxo! Thank you very much for nominating me! I can nominate your blog, right? I think I’ll have to do this a little later tonight, but I can certainly think of plenty of blogs on here that inspire me! I will link back here later! No worries! And thank you 🙂 it means a lot to be put in that same category. The valgus was at his ankle rather than higher up, and treatment basically consisted of putting an external frame around his leg, breaking it in two places, and pinning it together through the middle, adjusting the screws every few weeks. Sorry about your health woes 😦 sounds really rough. In Australia we currently get most medical treatment for free, including a lot of operations, but our incumbent government is aiming to change that. Never mind that Australia is rolling in fat wads of cash… Come live over here while the going is still good! The cheese? It’s a Korean thing. There’s a common practice of adding whatever you’ve got to your instant noodles, or ramyun. This could be ddok, dumpling, cheese, spring onion or egg. There’s even a Korean film called Pa-song-song, geran tak, which basically is onomatopoeia for chopping spring onion, and cracking an egg. Dir en Grey on the other hand, I haven’t listened to them, but one of my good friends swears by them. I will take a look.